As I continue to build up some passive income to help carry me once I retire, I’m taking a second look at dividend stocks. If you’ve read some of my previous posts, you know that I think rental property can be an important part of your portfolio, but I don’t want to solely count on that for passive income. I’m not completely new to dividend stocks, but I’m definitely not the expert. I look at Jason at Dividend Mantra and I’m flabbergasted at how focused he is in this avenue. Halfway through the 2015 year, he already has received over $3,400 in dividends! This is really impressive and it’s easy to see that he is well on his way to achieving his goal of retiring by 40. Jason has inspired me to revisit stocks that pay dividends because this can be a very important part of the route to be able to retire. If you are new to the area of dividend stocks, they’re still probably exactly what you expect – stocks that will pay a regular dividend (some amount of money) to their shareholders. A good number of companies will pay their dividends on a quarterly basis. As I mentioned, some of these are ETFs, which are not technically dividend stocks, but they still pay a dividend, so I’ve included them in the list. If Jason at Dividend Mantra reviewed this list, he might beat me with a stick! I do have some standard blue chip stocks in here, but a lot of it is just a hodgepodge of stocks that might have been spin-offs of another company or just bought on a whim. 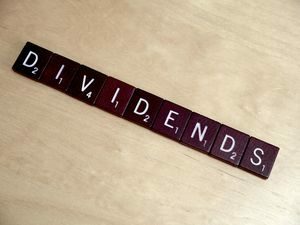 To be honest, this is the first time I’ve actually looked at what kind of dividends I’m getting and I’m actually a little surprised… in a good way. We don’t have a ton of money in our Roth IRAs (around $38,000 between the two of them). For the 2014 year, my Roth IRA generated $394.51 in dividends and $15.64 in my taxable account. My wife’s Roth IRA provided for $192.52 in dividends for that year. So in total, we had $602.67 in dividends for the 2014 year. Although it’s not what Jason is pulling in, it’s certainly a lot more than I expected to see. 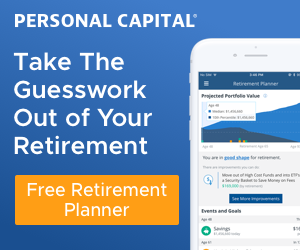 One of the choices presented to me in my Roth IRA through TD Ameritrade is to either receive the dividends or reinvest them automatically to buy additional shares. We’ve opted for the latter on our accounts… this should help the stocks continue to grow for the time being. Eventually though, when we’re retired, we’ll probably change that to receive the dividends to help provide us with an additional income stream. One of the downsides of dividend stocks is that you’re not as diversified as you could be with a mutual fund, for instance. With a single stock, if the price takes a nose dive, you could really be hurting based on the number of shares you have. Mutual funds are a collection of holdings, so if a single stock drops, you probably only hold a very small percentage of that stock in the fund and hopefully doesn’t affect you too bad. However, this is only one piece of diversification. If the market as a whole takes a downward swing, you’re probably going to see that effect regardless of whether you have a single stock or a mutual fund. What I need to do is start getting a little more serious about my stock portfolio, selling off some of the garbage, and picking up some stocks that pay regular, solid dividends. I’m actually pretty excited about this post because I really thought I was only earning a few bucks a year in dividends. If I fine tune things and start buying some strong stocks, I might actually be able to get that $602 to be something more sustainable. Dividend stocks aren’t perfect. For instance, in a down economy, companies can slash the dividends they pay, which obviously isn’t good if you’re relying on that stream of income to live off. Regardless, I’m definitely going to spend some time digging into my holdings further to start picking up some more dividend-paying stocks. How about you – are you currently investing in or planning to invest in dividend stocks? ← Happy 40th Birthday to Me!!! At lot of people look at a dividend stock and see the 2% or 3% current yield and say “big deal”. The real power comes in when you own these stocks for years and years and the good ones keep increasing their dividend over time. Then you can have yields of 10% or more on your initial cost. Then it gets real exciting! I agree, Adam, and I hope I can mold my portfolio to be part of that 10%+ yield! !